How many times have you tried dieting only to either give up on it or reach the end date and then gorge on everything you had cut out for weeks/months!? That’s because most diets aren’t sustainable, they’re not meant to be; they’re created with an end date in mind for things like holidays and weddings. 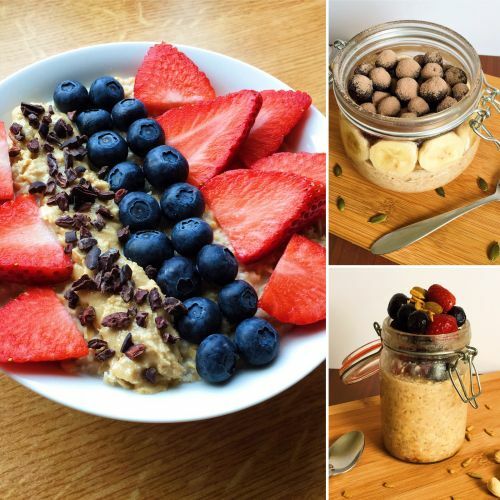 But sustainability is vital to ensure you prevent yo-yo dieting and to also look after your body by not putting it through unnecessary stress with drastic dieting. But what is a sustainable diet? It’s a diet (and by diet I mean your general intake of food) that you don’t start up and stop every few months. It’s something that fits in around your lifestyle – your finances, your commitments. It’s where you eat that same way for the foreseeable future without feeling like you’re missing out on something and without ever having to give up on it because it makes you miserable or because you crave a chocolate bar. A sustainable diet is a way of eating that means you don’t ever have to resort to a fad diet again. It doesn’t mean eating completely clean foods that are always prepared from scratch 100% of the time (because with all the best intentions, that really isn’t sustainable), but it’s also not about eating every chocolate bar in sight at every given chance. It’s about balance. It’s different for everyone though, so put quite simply, a sustainable diet is whatever is sustainable for you. If I say the words clean eating, what do you think of? Very few of us would cherish the idea of eating plain chicken and broccoli three times a day because, well why would you!? Yet for so many people that’s what clean eating means. A life of never eating anything remotely tasty. Let me correct this myth right now by telling you that I never have a meal of just plain chicken and broccoli! I do eat chicken and I also eat broccoli, but they aren’t the focus point of every meal I have, and I certainly never have them on their own because I’ve tried it a few times in the past and it really isn’t something I enjoyed. That takes me on to the whole point of this post… You have to enjoy it for it to become sustainable. I’ve heard of so many random fad diets over the years and something they all have in common is that you have to completely remove all items that most of us would consider tasty treats from your diet, so straight away that makes me question how long anyone could keep that diet up for before diving head first into the nearest confectionery aisle and gliding along the floor with an open mouth allowing all chocolate and cakes to fall in. Anyway, that is a clear sign that it’s not sustainable. Regardless of how dedicated and motivated you are, it’s very difficult for your average person (myself included) to face a life of absolutely no sugary food items. I know they’re bad for me and I’m not saying I eat them often, but if someone told me I could never have them again EVER then I can safely say the old hockey player in me would come out again and they would be tackled to the floor until they took back such an evil punishment. So how can you make it sustainable? For starters, stop thinking of it as a diet. A diet always has an end date and if you’re going into it with an idea of when it will end then (you guessed it) it’s not sustainable. 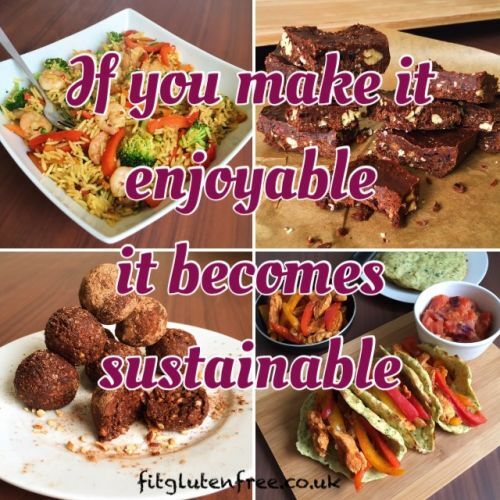 To make it sustainable you need to make it enjoyable, so for example, don’t forbid yourself from eating foods that aren’t clean. Adopt the 80/20 lifestyle (or something like that – maybe to begin with 70/30 might work best for you or maybe even 65/35). So you have nutrient dense foods 80% of the time (making clean and healthy choices), and then have things like chocolate and ice cream the other 20% of the time. It’s all about balance. I also think it’s worth mentioning that chicken and broccoli aren’t the only clean nutrient dense foods out there. For some reason people always think that’s all I eat, well that and celery. But there are so many other lean meats available, plenty of delicious fish/seafood to choose from, absolutely loads of veggies and lots of fruit. That’s before even thinking about the amazing things like pulses, nuts, etc. 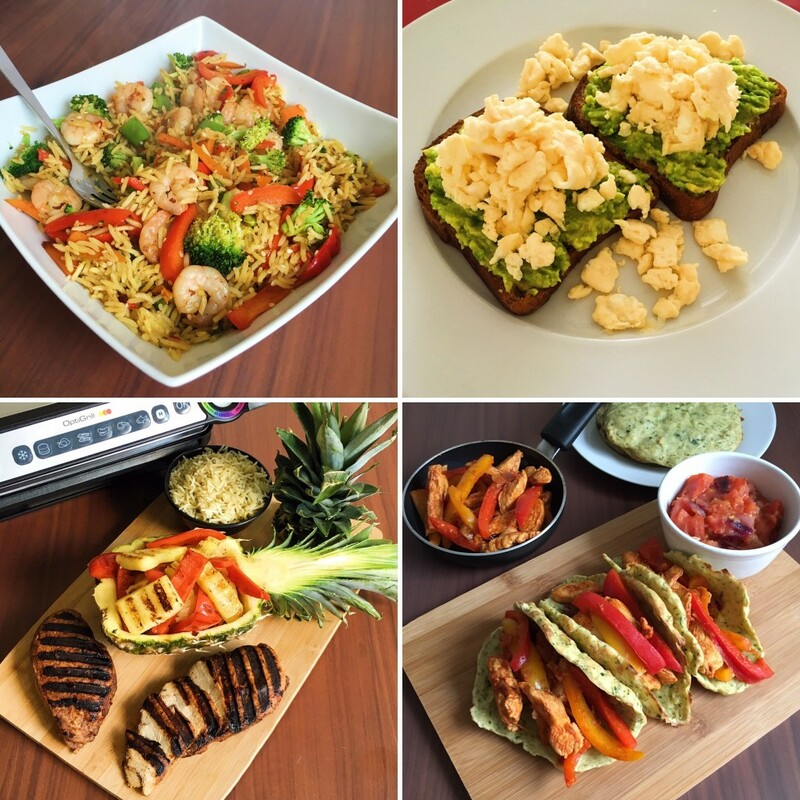 There really is loads of amazing food to choose from when eating clean, so please remove the thought from your mind that eating healthy can’t be enjoyable. 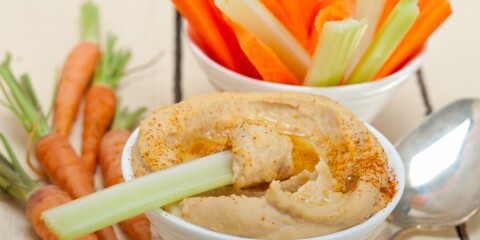 Also, there seems to be this misconception that you have to eat your clean nutrient dense foods completely plain and only tasting of what they naturally taste, but there’s absolutely no reason why you can’t add plenty of delicious herbs and spices to your meals, and if you really want sauces then add some. Sauces can contain a lot of sugar, but you can either make your own (and honestly a homemade tomato sauce for bolognese, etc is surprisingly simple), or if you really want bottled sauce then try looking for one which only contains ingredients that you recognise, and preferably one that doesn’t contain much sugar. Or if it is high in sugar maybe just don’t drown your meal in it, have a small amount. READ What should I be doing as a warm up? You don’t have to face a life of bland boring food, honest. By adding loads of amazing flavours through herbs, spices and even just through the delicious veggies you choose, you instantly make the way you’re eating more sustainable because you’re making it enjoyable. You don’t have to dread eating clean anymore. And don’t settle for having the same thing every day. It really doesn’t have to be that way. Granted, if you do meal prep then having the same thing a few days in a row can be handy when prepping, but there’s no reason why you can’t mix it up each time you prep and make new recipes each time. Just play around with food and find new combinations you enjoy. 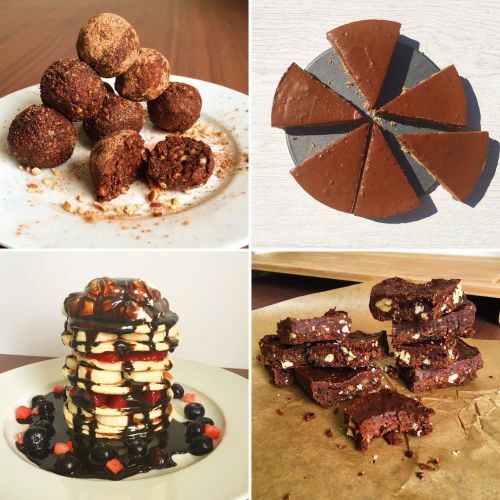 My blog is mostly filled with healthy sweet treats because that’s what I enjoy making most, but for meal inspiration I do occasionally post photos on my Instagram, or you could follow the incredible Clean Eating Alice as her meals are guaranteed to change your perception of clean eating being boring. And I couldn’t write this post without mentioning that it’s important to stop feeling guilty about certain foods. I used to do it; I used to add time onto my workouts many years ago any time I had some chocolate or ice cream because I felt so bad about eating something that wasn’t clean. If I could go back in time I would slap myself across the face and give myself a serious lecture about having a healthy relationship with food because nobody should ever feel guilty about eating anything…unless you stole it. It is hard to adjust to the way of removing the feeling of guilt from food (particularly because we are surrounded by so many foods in shops labelled as ‘guilt-free’), but once you realise you can eat whatever you want in moderation it’s liberating! Remove that fad diet mentality that says you should be ashamed of having anything other than a lettuce leaf and instead, adopt the mentality that it’s totally fine to have a little bit of what you fancy. It’s all about balance. READ What is balance and how can I achieve it? Just make generally healthier choices and remember it’s all about moderation, not deprivation. After all, if it’s not enjoyable then it’s not sustainable. By the way, all of the foods shown in the pictures on this post (other than the fajita pic) are either in the recipes tab on my blog or on my Instagram feed…and they’re all healthy! 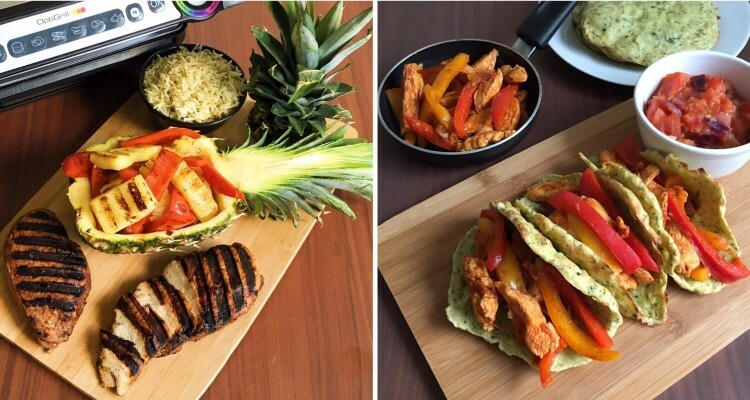 The fajita recipe will be posted once I’ve finally perfected the wraps.